Could setting Up a Business Inside Markets be more Lucrative than the Streets? Running a business can be a great way to make your own living. Flexible working hours, the attraction of being your own boss, the fresh air and a relaxed, friendly working environment are just some of the many reasons why each year thousands of people choose to set up as Traders and run their business from Markets or streets. Princess stressed that Markets is a Formal Platform for business an as such it sells more. Perhaps, it is the most lucrative place to start a business. To her, “When you start a business in a market, there is an assurance that you will make Sales. Unlike streets where there are strategic time when sales are made. 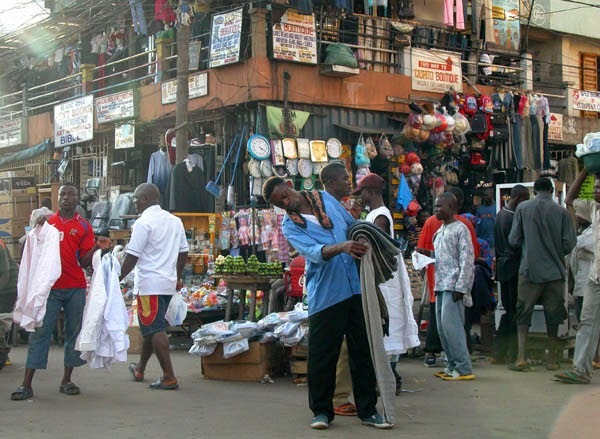 People that run street business make sales mostly in the morning and evening when people are at home but market business generates income through out the day. Contrary to Princess Opinion, Mrs Olatoye, A Small Business Entrepreneur and owner of Sydney and Friends store said that Street Business is more lucrative than the markets. According to her: “Market are strategic Places to set up businesses but Streets is the most lucrative.” To her, Streets are more spacious, quiet and Peaceful for Selling goods unlike most Markets rwhere everywhere is choked off and buyers do not have enough comfort when buying goods. “People don’t like going to the markets again because of the Stress Involved. The price in the markets is now the same as the streets.” She added.